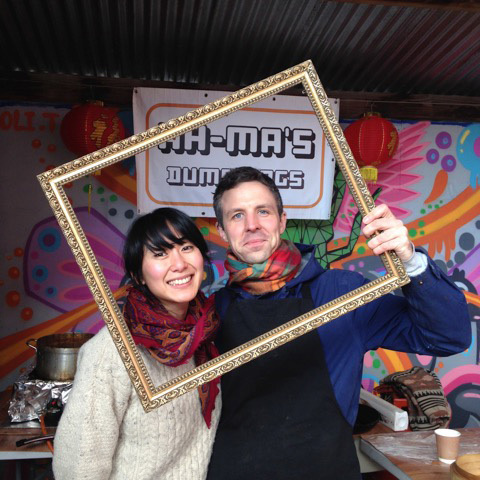 Fusing traditional Cantonese dim sum (meaning ‘to touch the heart’) with modern British influences, these delicious culinary creations are a big hit at the market. Ah-Ma founder Anita Cheung has set out to recreate the fresh, light and delicate traditions of Cantonese cuisine, without any artificial colours or MSG. Every delicious dumpling is delicately handmade from scratch, using the freshest vegetables and locally-sourced, free range meat. How long have you been trading at the market? Inspiration for our dumplings and baos is taken from Anita’s heritage and the Cantonese style of cooking, which delicately balances flavours and places importance on the quality of the primary ingredients, to create dishes that are fresh, healthy and delicious. 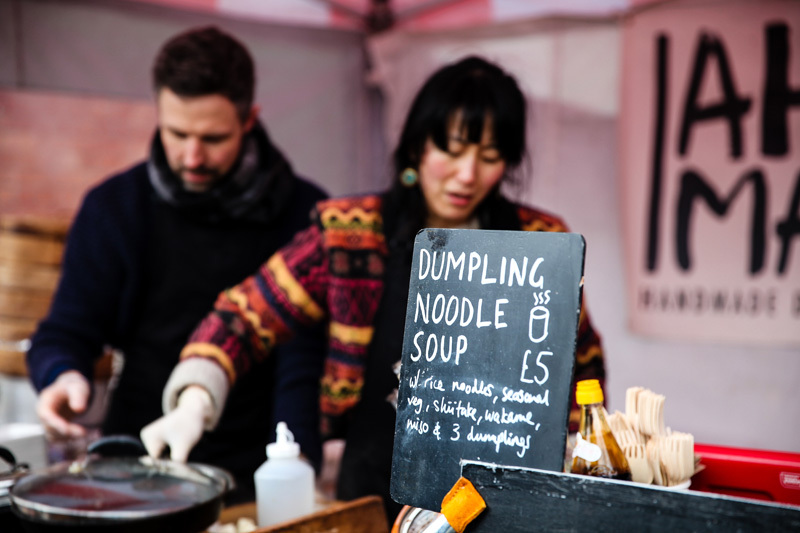 We think that adhering to ethically sound standards compliment excellent quality, taste and experience, and so we use local minimum free-range meat, and our baos are made using locally produced organic flour, soon our dumplings will be too. We support local businesses and all our packaging is compostable and made using sustainable resources. The community atmosphere that’s created, between the producers and visitors. It’s amazing to be a part of that.